Last week we taught our annual field course, taking a group of undergraduate Landscape History students out into the countryside for a week to teach them a number of different surveying techniques. 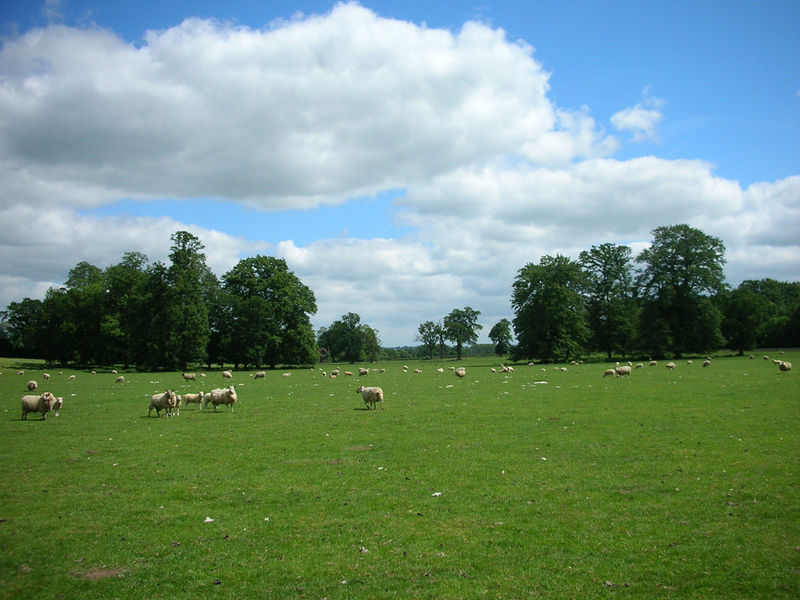 This year we surveyed a medieval moated site in the parish of Redenhall, in south Norfolk. 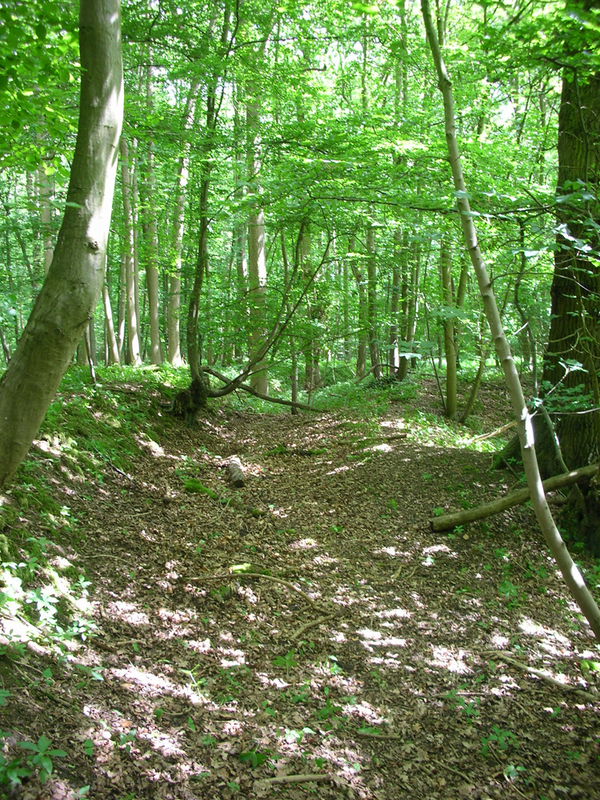 The moat is on the edge of an ancient wood which is criss-crossed with medieval wood banks and other associated features. 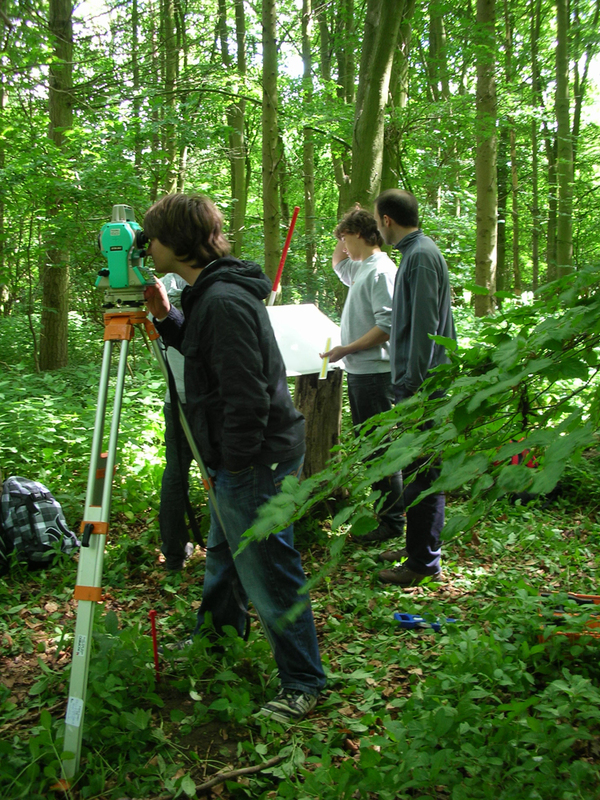 The students surveyed the earthworks of the moat using an EDM (an Electronic Distance Measurement device), and ‘line and offset’ to survey stretches of the medieval wood banks. 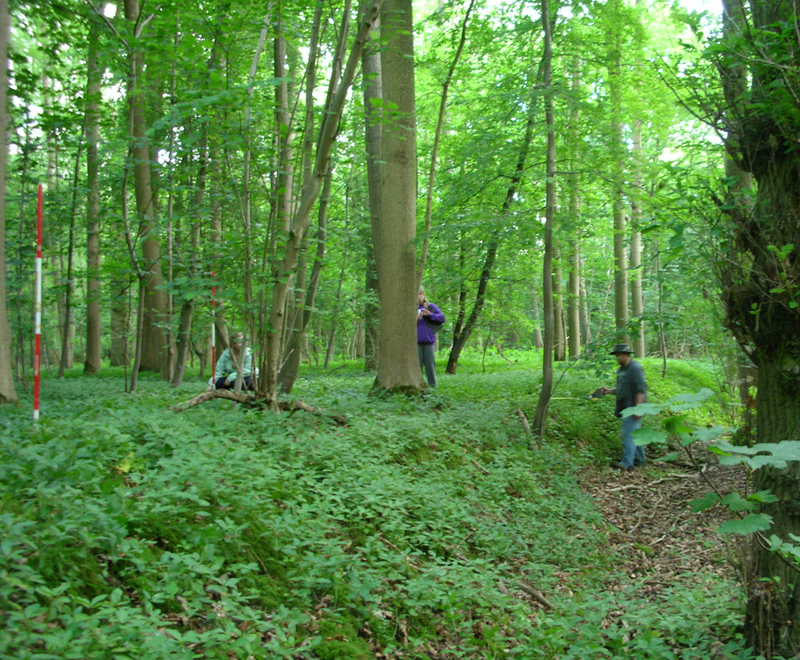 They also carried out a rapid survey of the ancient wood which revealed lots of interesting features. At the moment we know relatively little about this fascinating site, but the students now have several months to carry out their own research, as well as drawing up their earthwork plans. You can find out more about the moat that we surveyed on the Norfolk Heritage Explorer website, and we will post updates on the blog as we find out more about the site.